My personal adventure began in 1998 when I was going through a challenging time in my life and finally admitted to myself that on some level – I had never been truly happy. Although I changed: husbands (twice), cities (five moves), podiatric practices (three different practices in three different states) and friends (should we go there? ), I still had no real joy in my life. I was so miserable that I felt like a leap of faith was needed. I sold my very successful practice, my boy-friend (only kidding), my beautiful home – and closed the surgical residency program I was director of (yes, that was a pretty big deal – and yes, the medical community thought I was NUTS). The bottom line is that I was a good girl – I followed my parent’s rules, went to college and medical school, found a nice Jewish guy to marry but in the end it didn’t work out because I wasn’t being true to myself. I spent all those years educating myself, going in a direction I never wanted to go in. I was frustrated because I felt like I couldn’t do what I wanted to do and I was compromising my dream. So I finally walked away from my schooling, a very successful practice, and a phenomenal income to find my heart’s desire. I turned my back on what my family wanted for me even though it made my parents proud – because it didn’t really make ME feel proud to be living a lie. Fortunately, during this time I received a copy of don Miguel Ruiz’s NY Times best-selling book (The Four Agreements®) and decided to go on one of his spiritual journeys to the sacred site of Teotihuacán, Mexico. After leaving behind the world of medicine and financial success, I discovered there wasn’t anything outside of myself that needed changing at all – instead it was what I believed about myself and my world that needed work. It was the first time I realized my pain stemmed from: my basic lack of self-love, self-trust, creative imagination – and a whole lot of limiting beliefs. As a result of that journey, I became a student of don Miguel’s and later, a teacher of this enlightening work that even Oprah was fond of. I spent nearly 8 years on a transformative spiritual quest with my teacher. I took a year and a half off the beginning of my journey to reflect on my life and explore the landscape of my inner world. It was a rocky, unforgiving place at first (most of us are willing to forgive others before ourselves). But over time, I gained the skills + tools to shift my own reality (and that of others) — from the inside out. 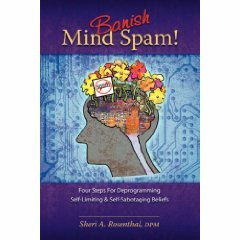 Learning from don Miguel inspired me to write two books on personal growth + consciousness: The Complete Idiot’s Guide to Toltec Wisdom and Banish Mind Spam! and one awesome online program, The How To Forgive E-Course. During my time with don Miguel I had the privilege to design and organize his journeys and retreats. It was a fantastic opportunity to wander around the world and learn the travel business at the same time inspiring me to give birth to my coaching practice and Journeys of the Spirit® in 2003, and later JOTS® Luxury Travel in 2011. However, after being a Master Toltec teacher for 8 years I finally felt that it was time to move on again (so I could be true to myself rather than perpetuate the lie of not being myself – yet again!). What’s so shocking to me is the number of people who never challenge themselves to greatness and instead stay in situations that are safe – regardless of how unfulfilling they are (whether that means staying in a job that no longer makes your heart sing or a relationship that’s no longer loving). Honestly, I spent years fooling myself and everyone else and trust me – that’s NOT where you want to be. If this sounds like you in any way – you can decide to stand in the personal power of who you truly are, get real, and finally create the life and business you’ve always wanted – regardless of what anyone else thinks. You don’t have to work multiple jobs to have abundance, or work yourself to death. You just have to get serious/committed about your business and start working smart or you’ll never get off the treadmill of mediocrity. You don’t even need a business degree, or any degree for that matter, to be successful. You don’t have to sell your soul to have a safe job – you can do whatever you want. You don’t have to live where you work – you can be FREE to work + travel worldwide. Nourishing yourself needs to be a high priority – abundance comes when you have the energy to create it. Expressing your heart authentically through your outer image makes it easy to attract fabulous friends, partners + clients. Having deep connections, a spiritual practice, and being in service in life gives it greater meaning + satisfaction. Being happy inside makes it easy to express your love openly in all you do. It’s time to stop playing small right now + it’s time to be YOU from balls to bones. Personally, I’M TIRED of seeing wonderful – no – fabulously awesome people living mediocre lives fulfilling other people’s dreams rather than creating unlimited abundance (in every direction), amazing success, an extraordinary life, and true wealth in every direction. And there’s nothing more irritating than seeing folks who have a critically important gift to share not be able to monetize their passions because – either they’re sabotaging themselves or they simply don’t have a business plan that works – or both. Creating a fabulous business and life takes a combination of the proper mindset, a business plan that’s succinct and reproducible, and a healthy body + nourished spirit. So what are you waiting for? Don’t let the cosmic two-by-four hit you upside the head! (you know…when life whacks you on the head so you can wake up, take action, and finally change?) Today you can take control of the only thing you CAN take control of – creating your best life. Come on over and join me at WanderlustEntrepreneur.com! PS: In addition to leading my own travel adventures, I also coordinate destination retreats for other coaches + teachers — through my boutique travel agency, Journeys of The Spirit Luxury Travel. 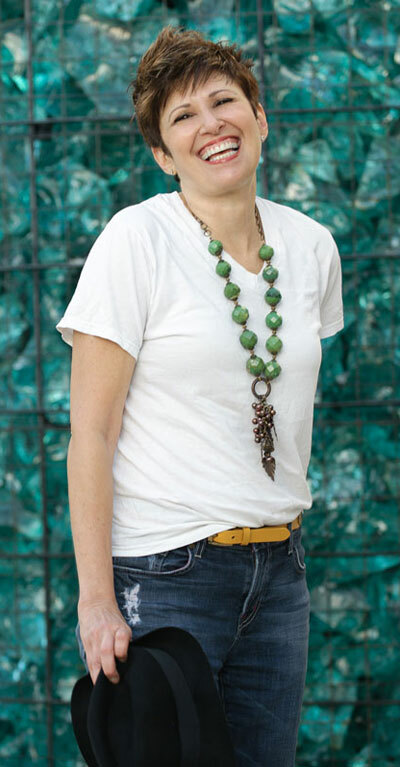 If you’re planning a life-altering workshop — but don’t know where to begin — we should talk. Want to learn more about Transformational Destination Retreats? Click the pic! Sheri is the gift who keeps on giving! Her insights and careful way of communicating them continue to resonate with me, a year after the Intensive. Sheri’s ability to really cut through my stories and beliefs and get right to the heart of the matter is awe inspiring. Sheri gave me the insight, clarity, tools and support I needed to really change areas in my life where I was suffering. I met Sheri virtually on a brief clarity consultation. You would think a short period of time is not enough to understand someone’s circumstances or challenges, correct? Think twice! I was really touched by Sheri’s open heart, the willingness to share her wisdom, and readiness to offer insights from her own experiences and challenges. The time that I spent with Sheri during my personal intensive was truly life changing. Who would think that just four days would do that? I certainly wasn’t expecting the end result to be so powerful. Sheri helped me to cut through my stories, fears and strategies, getting right to the core of what was limiting me in my life and giving me the clarity I needed to take action to make the changes that I truly wanted in my life. With her unconditional love, honesty, lighthearted humor, crystal clear clarity and lots of patience, she has helped me to shed so many lies and take my power back to create my life. Do You Have Fear of Taking Chances? Do you React, Resist or Ignore Life? Got a Petty Tyrant in your Life? You Should!? Are You Guilty of Care-taking? Sacred Sanctuary or Malevolent Maelstrom? What Message Are You Sending With Your Current Style? Are You Suffering From Terminal Mediocrity? Pick up a copy of Sheri’s book! 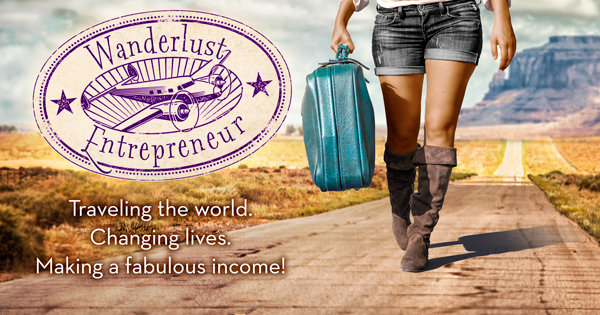 If you're a heart-centered entrepreneur who is ready to travel the world, change lives and wants to make money doing so - join me over at WanderlustEntrepreneur.com and let's embark on the adventure of your lifetime.